The navigation controller manages the navigation bar at the top of the interface and an optional toolbar at the bottom of the interface. The navigation bar is always present and is managed by the navigation controller itself, which updates the navigation bar using the content provided by its child view controllers. When the isToolbarHidden property is false, the navigation controller similarly updates the toolbar with contents provided by the topmost view controller. The navigation controller manages the creation, configuration, and display of the navigation bar and optional navigation toolbar. It is permissible to customize the navigation bar’s appearance-related properties but you must never change its frame, bounds, or alpha values directly. If you subclass UINavigationBar, you must initialize your navigation controller using the init(navigationBarClass:toolbarClass:) method. 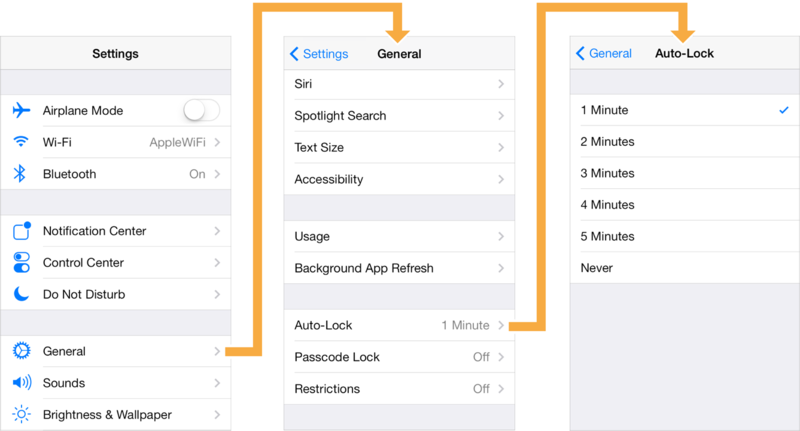 To hide or show the navigation bar, use the isNavigationBarHidden property or setNavigationBarHidden(_:animated:) method. The navigation toolbar is hidden by default but you can show it for your navigation interface by calling the setToolbarHidden(_:animated:) method of your navigation controller object. If not all of your view controllers support toolbar items, your delegate object can call this method to toggle the visibility of the toolbar during subsequent push and pop operations. To use a custom UIToolbar subclass, initialize the navigation controller using the init(navigationBarClass:toolbarClass:) method. If you use custom toolbar and navigation bar subclasses to create a navigation controller, note that you are responsible for pushing and setting view controllers before presenting the navigation controller onscreen. Supported interface orientations—A navigation controller object does not consult the view controllers on its navigation stack when determining the supported interface orientations. On iPhone, a navigation controller supports all orientations except portrait upside-down. On iPad, a navigation controller supports all orientations. 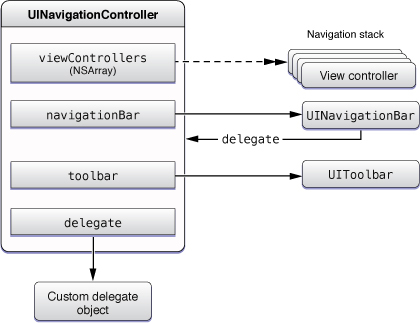 If the navigation controller has a delegate object, the delegate can specify a different set of supported orientations using the navigationControllerSupportedInterfaceOrientations(_:) method. Presentation context—A navigation controller defines the presentation context for modally presented view controllers. 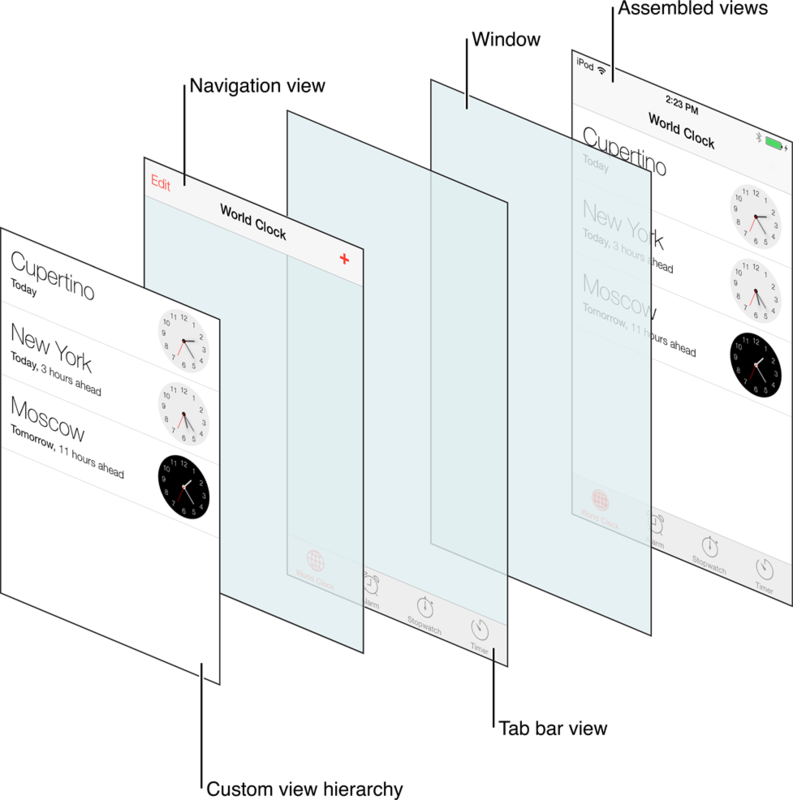 When the modal transition style is UIModalPresentationStyle.currentContext or UIModalPresentationStyle.overCurrentContext, modal presentations from the view controllers in the navigation stack cover the entire navigation interface. func popToViewController(UIViewController, animated: Bool) -> [UIViewController]?